Dear SBI member, associate and business partner. Please see below for the first of 2018’s quarterly newsletters. Following the first board meeting under our new Memorandum of Incorporation, this newsletter sets out our year in review and a look ahead to 2018. It’s going to be a busy year and we will be calling on you to participate occasionally in surveys and requests for information. We want to hear from you so we can better represent you. More than 95% of registered businesses in the world are small in size, employing fewer than 250 people and account for 60%-70% of the entire working population. Not in South Africa. That should worry us and we need to change that. To create employment for over nine million unemployed people, policy makers and regulators must support in practice, an enabling environment for SME to grow and flourish. We must engage on potential solutions in open discussions using facts and evidence. The organisation spent 2017 envisioning a role to give it more relevance, visibility and impact. SBI has laid the groundwork for a more noticeable presence – in the media (social and traditional), with its core constituency and ultimately with policy makers. 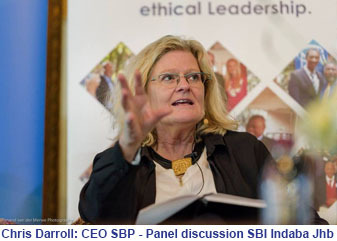 The board restructured the organisation to ensure financial sustainability and its resources will be deployed in line with the new vision.SBI held five Indabas around the country and participated in panel discussions hosted by other organisations. 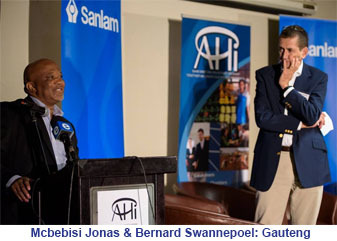 Influential role-players delivered keynote addresses to SBI’s members, including former Deputy Finance Minister, Mcebisi Jonas, BUSA CEO Tanya Cohen, Corruption Watch’s David Lewis, DSBD DG Edith Vries, Magda Wierzycka, Mosiuoa Lekota and Business Leadership South Africa CEO Bonang Mohale as well as presidential contenders Matthews Phosa and Zweli Mkhize. Panels exploring the political economy included editors, political analysts, economists and academics. Inspiring entrepreneurs reminded us that challenges are overcome with the right attitude and aptitude. 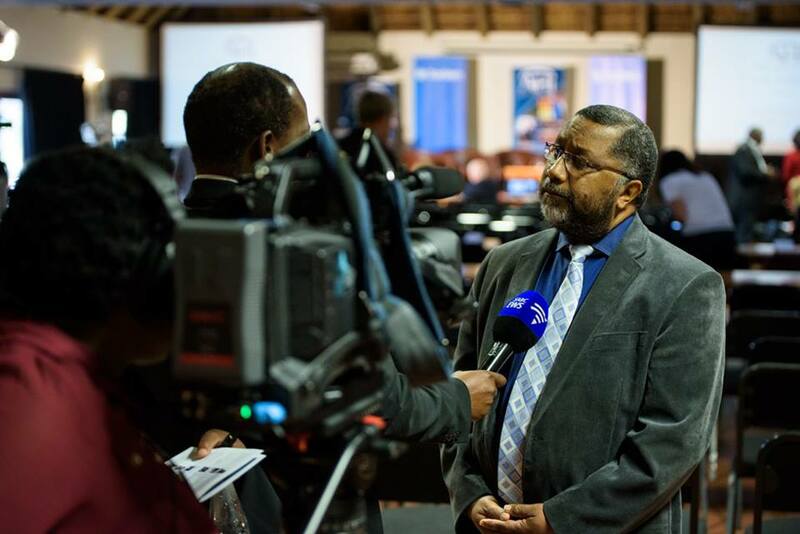 Each Indaba was covered by television, digital and print reporters. In addition, newspapers and digital platforms promoted SBI opinion pieces and press statements throughout the year. Various television and radio stations interviewed the president and the CEO on a regular basis and we grew our social media followers by nearly six fold. The organisation has registered a new Memorandum of Incorporation to entrench proper governance and is raising funds to ensure its sustainability. 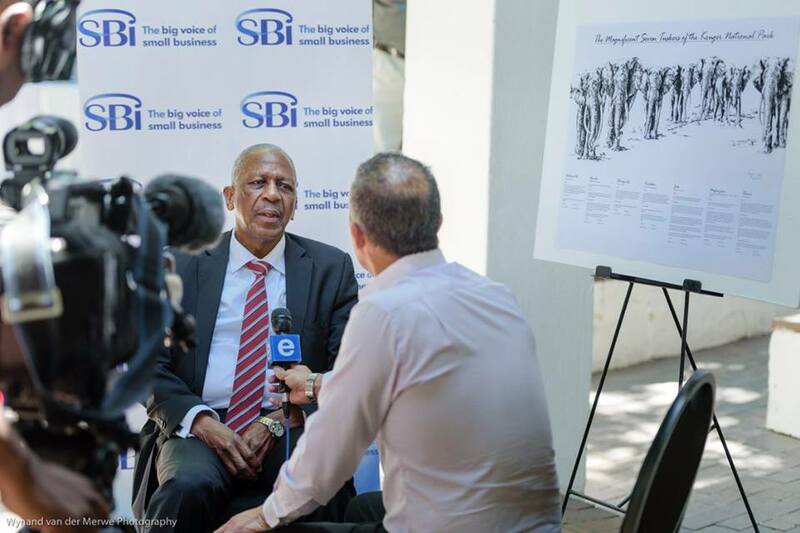 In addition, SBI signed a Memorandum of Agreement with the SBP (www.sbp.org.za) to collaborate. SBP is a not for profit company specialising in developing policy and conducting innovative research to improve the enabling environment for doing business, especially small business as vehicles for growth and job creation, since 1998. Together we will undertake research and track relevant data to spearhead a new movement for small business in South Africa at this critical time in our country’s history. continue to participate in discussions and debates, host national Indabas as well as initiating Town Hall meetings in rural and township areas and youth outreach events. 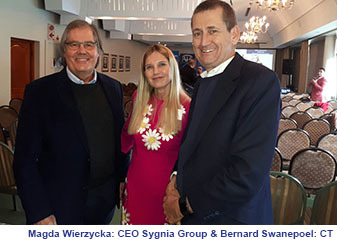 As a priority, the SBI and SBP will raise sufficient funding to undertake South Africa’s first, and only rigorous baseline study ever to be conducted on the small business segment of the economy during 2018. The SME baseline study will systematically capture the size, nature and characteristics of all small firms operating in South Africa. It will provide evidence to promote more effective public positions on all matters concerning enterprise development, as well as a platform for a more cohesive voice for small business in the country’s public policy debates. SBI will also work with SBP to produce an index tracking monitor, evaluating the operating environment for SMEs; a minimum of four position papers and a monthly policy brief. The work they do for us and other funders will contribute to our Indabas and our advocacy. The Centre for Competition, Regulation and Economic Development (CCRED) will be continuing its work examining barriers to entry into the South African economy and proposing ways the government can regulate for competition. We will explore ways to amplify that work and plan to conduct a ‘hackathon’ to enlist technology developers to innovate apps and other tools for the benefit of SMEs. We will explore how to use existing platforms to measure and hold local government entities accountable for services they are charged with delivering as well as for the legally required integration with local business chambers when budgeting. Legislation exists to compel government to consider the impact of any new legislation and regulation on SMEs. We may consider taking the necessary legal steps to enforce this neglected safeguard against over-regulation and unnecessary red tape. Other relevant research, articles and papers will be posted on a newly-designed website to highlight studies from academics in South Africa, multi-lateral institutions and our research partners. SBI will continue its Indabas; we plan to hold five in cities around South Africa. These are platforms for discussion and provide participants an opportunity to challenge the status quo. They inform, showcase, and inspire. We will also expand our events into townships and rural South Africa to listen to our chamber members, SMEs and entrepreneurs at Town Hall meetings. What we hear about their successes and concerns prohibiting them from growing their businesses and creating jobs can feed into our research and in turn we can test what we are learning at these events. Using our research, SBI will have more to contribute to the public debate and our national spokesperson will perform an invaluable function with proactive interviews and participation in our Indabas and Town Hall meetings. SBI also plans to proactively seek opportunities to speak on other platforms when issues pertinent to SMEs are discussed. One of our new board members visits schools to inspire and encourage entrepreneurial impulses in our youth. Children and young adults facing an over 50% unemployment rate need to believe they can be job creators rather than job seekers. We will strengthen our relationship with all universities, especially the departments focussing on entrepreneurship and enterprise development. Other forms of advocacy work will take place in the task teams and reference groups formed by Business Unity South Africa (BUSA) and with public servants in Parliament and in relevant ministries such as the National Treasury and SARS, the Department of Cooperative Governance and Traditional Affairs, the Department of Trade and Industry, and the Department of Small Business Development. A Director for sectoral co-ordination will work with representative organisations in sectors where opportunities exist for SMEs to grow and become sustainable, particularly in tourism, agriculture, education, manufacturing, construction and mining. SBP will be participating in a national conference in March to promote a sectoral approach to red tape reduction and their work will tie into ours. SBI is currently rebuilding its website and its social media presence both to enhance its position as the Big Voice for Small Business, but also to form a repository for relevant research papers; opportunities for a more activist SME community; position papers and media statements to inform policy discussions. Social media is effective, too, for reaching our members and encouraging new businesses and chambers to join us. The Indaba dates for 2018 has been confirmed, you will receive the invitation with full programme and booking link, but be sure to diarize the dates!